Liquor licence - The Brumbies Superrugby franchise has secured a liquor licence to offer their supporters a carnaval atmosphere outside their home AIS Arena. The venue will offer barbeque facilities, live music and (of course) a bar. The Sharks have been doing this for ages outside their stadium in Durban and it is still very popular with fans. This is an obvious attempt by the Brumbies to get larger fan numbers for home games. 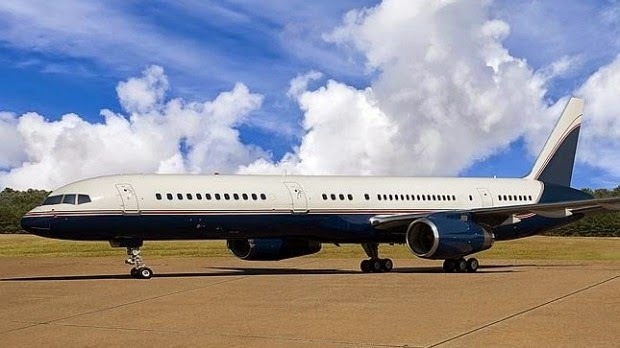 We're sure most of their fans won't mind a ride in the Brumbies' newest mode of transport - a 757 Boeing Corporate Jet. Wonder whether their liquor licence will extend to include the jet?(! ).